Human resources with the power of knowledge and experience as determinants of sustainable success of the company, therefore, BDLaw has to set up a human resources appropriate strategy to gather a team of high-educated, well-qualified and well-experienced lawyers and experts working in reputable consulting firms and law firms inside and outside the nation. 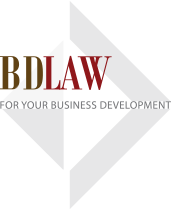 Moreover, BDLaw continually keeps on training and creating a team of young lawyers and counselors belonging dynamic, creative, enthusiastic and professional working style. Contributing to the current success of BDLaw, there are presences of Partners – who have not only knowledge but also legal experience accumulated over the course of doing business in Vietnam and foreign countries.